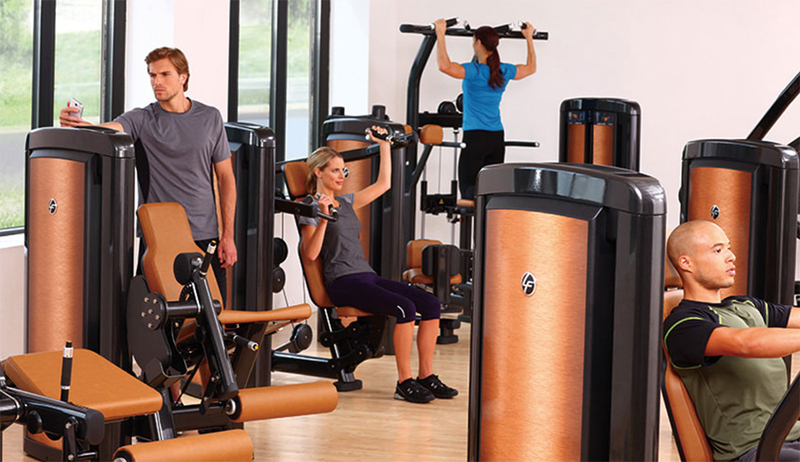 Well-placed sensors can provide valuable member- and asset-management information that has a significant impact on your gym’s operation and performance. It’s 6 a.m. on a typical Monday morning at your club. One dedicated member is heading to his favorite group cycling class, which he signed up for by using your club’s branded app. Another has just pushed the Start button on a treadmill. A third is working up a sweat on your plate-loaded strength circuit. By employing your laptop, tablet, or smartphone, you can easily review a real-time report detailing how many people are attending that cycling class; how and when each of your cardio machines is being utilized; and, now, even how much weight that member is lifting. Later, as you study the results, you determine that the unit at the very end of your row of treadmills is going unnoticed, while the one closest to the water fountain is being overused. You also discover that one of your recumbent bikes is nearing the end of its useful life, and that the heart-rate sensor on one elliptical isn’t working. You learn all of this before a member has noticed—let alone complained. All of this seemingly unrelated data has been amassed, made accessible, and provided valuable member and asset-management information that has a significant impact on your decision-making and your club’s operation and performance. By now, you’re undoubtedly familiar with the cloud, a species of technology that makes use of apps, smart sensors, servo motor actuators, digital input of countless types, the Internet, and, more broadly, the Internet of Things (IoT)—the virtually infinite network composed of all sorts of connected “things”—to perform nearly miraculous computing wonders. Nearly 5.5 million “things” are being added to the IoT every day, and, by 2020, it’s estimated it will host some 25 billion of them. The cloud, generally speaking, provides shared data and processing resources to computers and other devices on demand. Speaking specifically about health clubs, it can provide tutorials, instruction, and coaching; access to TV, games, and interactive training videos; tracking of performance metrics; downloading of metrics to other devices; sharing of metrics with friends and trainers; online competitions; club-management functions; and asset management of club equipment. Fitness professionals—industry suppliers, as well as clubs—are constantly imagining, developing, and introducing new devices, services, and systems to seed the cloud. The following are two examples that IHRSA associate member companies have produced recently. For years, cardiovascular equipment has been networked and data culled from users’ exertions via the cloud, and a number of manufacturers also have applied the concept to some of their strength training units. Now, apparently for the very first time, the process has been brought to bear on most companies’ strength pieces. At IHRSA’s 36th Annual International Convention & Trade Show in Los Angeles, one of the exhibitors—Smart Health Clubs (SHC), a technology firm based in Laguna Beach, CA—debuted its Smart Weight Pin. The device collects data from selectorized and plate-loaded equipment and stores it in the cloud for easy access. SHC, founded in 2016, spent its first year beta testing the Smart Weight Pin with the assistance of Mike Alpert, the CEO of The Claremont Club (TCC), in Claremont, CA. The sprawling multipurpose facility, situated on a 19-acre property, serves more than 10,000 members. Among the benefits the system provides, notes Alpert, is the ability to share this formerly unattainable information with members and their trainers, and to create member challenges and competitions—just as he’s been doing for years with his cardio equipment. “These capabilities make working out fun for members, and give trainers the tools they need to better guide their clients toward greater success in the weight room,” he says. The collaboration between SHC and Claremont also led to the development of a new app for TCC, a proprietary application that consolidates, and provides easy access to, a wide range of valuable data. Now, following 18 months of development, the TCC app has not only replaced a number of apps with a single one; it’s also tied together nearly every area and aspect of the club. “We started out by working to ensure that the Smart Weight Pin data automatically showed up in the app,” reports Rob Luecke, the COO of SHC. “But, then, by working with Claremont, we were able to expand the app, allowing it to connect with the club’s equipment, trainers, group training, dietitians, the members’ café—everything. Once the new app rolls out to the world at large, it will enable members to enroll in classes, hire trainers, purchase plans, access club dietitians, and more. Clubs also will find it easy to customize and update. Interestingly, there’s no up-front fee for the Smart Weight Pin. Its cost is recouped when a member purchases a $15 Smart Access wristband, which interacts with the pin to personalize their data and send it to their mobile devices. “Once the cost of the pins has been covered, we split all future subscription revenue with the clubs, establishing a new incremental revenue stream,” says Dan Jenkins, SHC’s chief marketing officer. Sensors, the Internet, and the cloud also have conspired to create the increasingly sophisticated asset management systems that are now being utilized by a growing number of clubs. An ambitious and innovative example is offered by ECOFIT Networks, based in Victoria, British Columbia, which uses smart sensor technology to democratize data culled from any manufacturer’s cardio equipment. ECOFIT installs the sensors, which track equipment usage. The data collected from each unit is instantaneously sent to ECOFIT’s proprietary network, where it’s aggregated and organized. Club owners and operators can then use their laptop, tablet, or smartphone to view the results. busy and slow utilization periods; equipment rotation plans, which increase equipment longevity by distributing usage more evenly; and equipment rebalancing guides, which pinpoint equipment surpluses or deficits so operators can make informed decisions about the contents of their cardio portfolio. The key benefit of ECOFIT, observes Johnson, is that it enables operators to “see” what’s happening with their equipment at one facility or across a number of networked locations. For example, proper equipment rotation, he estimates, can extend the lifespan of a piece of equipment by two to three years. 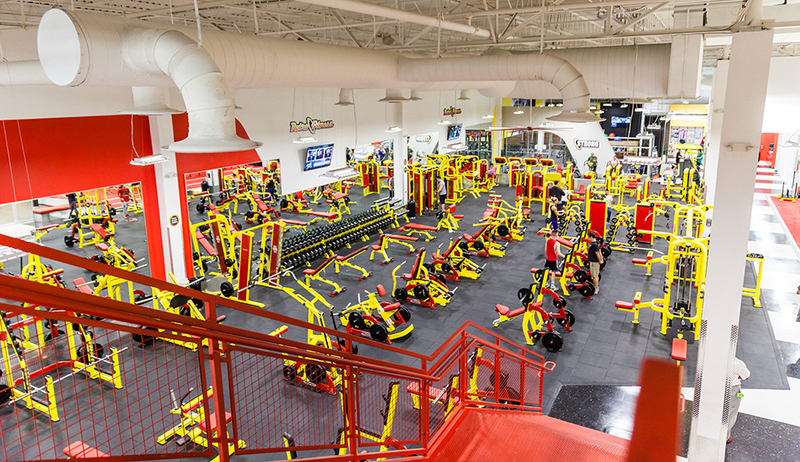 Retro Fitness, a fitness franchise based in Colts Neck, NJ, is a believer, one of Johnson’s enthusiastic converts. The brand, which has 150 locations in 16 states, has installed ECOFIT sensors at 20 of its clubs. He confirms that the data generated helps take the guesswork out of equipment purchasing and replacement. “Our savings on capital expenditures have been huge,” he says. In the near future, ECOFIT also will introduce sensors to monitor and metric-size strength, rowing, and other types of exercise machines.